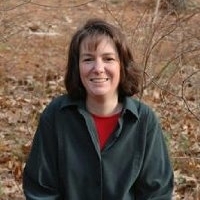 Melissa Stewart is the award-winning author of more than 150 science books for children. After earning a bachelor’s degree in biology from Union College in Schenectady, NY, and a master’s degree in science journalism from New York University, Melissa worked as a children’s book editor for nine years before becoming a fulltime writer in 2000. She has written everything from board books for preschoolers to magazine articles for adults. When Melissa isn’t writing or exploring the natural world, she spends time speaking at schools, libraries, nature centers, and educator conferences. She is a member of the Society of Children’s Book Writers and Illustrators Board of Advisors. My mission as an science writer for children is to foster kids’ natural curiosity and encourage them to explore the world around them. If one of my books inspires a child to look under a rock or chase after a butterfly just to see where it’s going, then my job is done.